few words and controlled emotions. No cheesyness, no drama. He has hardly ever watched a full movie in his life. 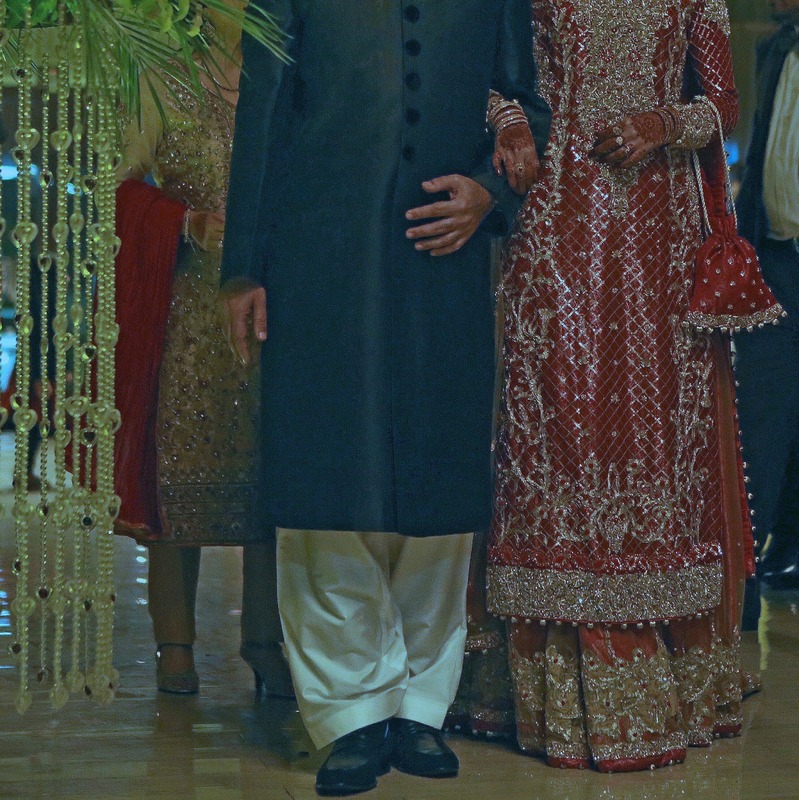 And I asked him to wear a sherwani (took me months, no exaggeration, to make him agree to it) and walk me down the aisle, arm in arm, in a spotlight, with a filmy song playing in the background. My mom and brother were always skeptical if I'll be able to convince him but somewhere in my heart, I always knew he'd eventually do it to make me happy. It was probably the hardest thing he had done in his life but he did it with a smile on his face. Knowing that he wouldn't have done it for anything and anyone in the world but me is what would stay with me forever. I sometimes feel a little guilty for putting my mom and brother in the shadows but I couldn’t help it, I have been a daddy’s girl, through and through. Not in the pampered sense, my dad wouldn’t know the first thing about pampering someone, but in the most empowering ways. 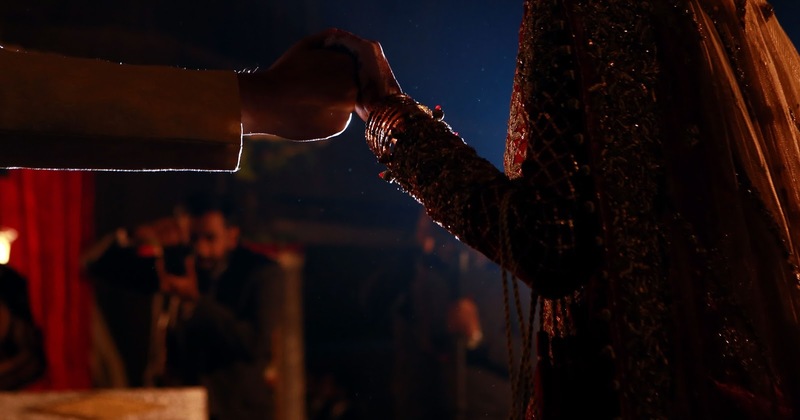 He had empowered me with freedom and trust, and him walking with me to hand over my hand to another man symbolized the passing on of those values for me (don’t judge, I’m a little filmy like that). He had trusted my choices and now he was trusting another man with me, his daughter. It is a heart-melting gesture, if you think about it. The event is only a matter of a few hours, it is these gestures by your loved ones that stay with you forever. Like when my husband tightened his grip on my hand when I was about to cry and hugged my mother when she did. It was the day I left a piece of my heart in one house and officially shifted to another to make it mine. I loved being on the stage and shamelessly enjoyed every minute of being the centre of attention. I even remember tapping my feet to the songs that were playing, probably because I had made the playlist myself and loved every song in it. The envelopes with money came, the pictures happened, the never ending doodh pilayi also wrapped up, it was time for rukhsati. As I had predicted, my parents were nowhere on the forefront.You can’t see them in the pictures or the video. 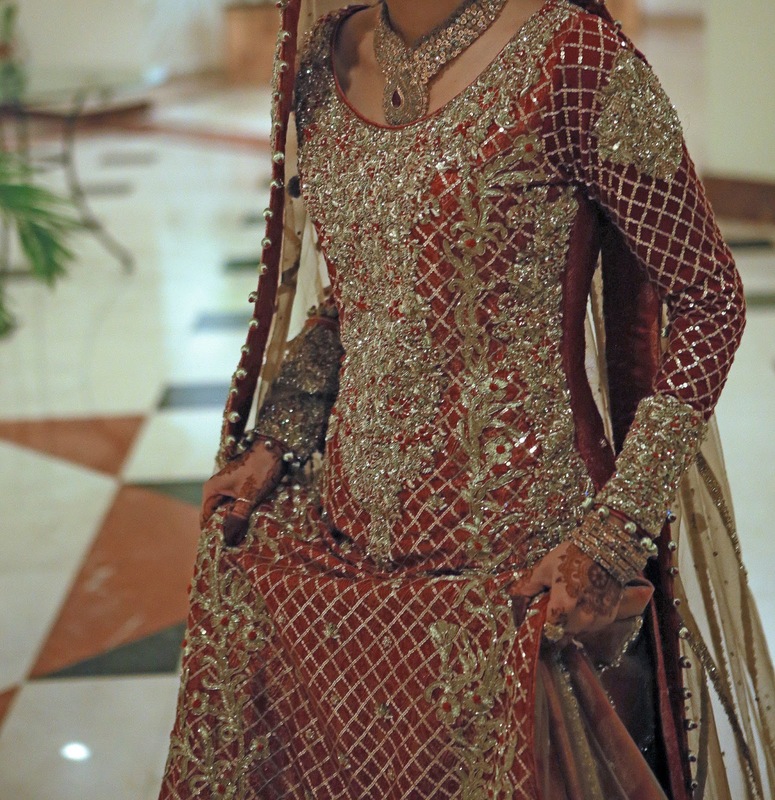 My mom is the sort who cries on every muhallay ki shadi. 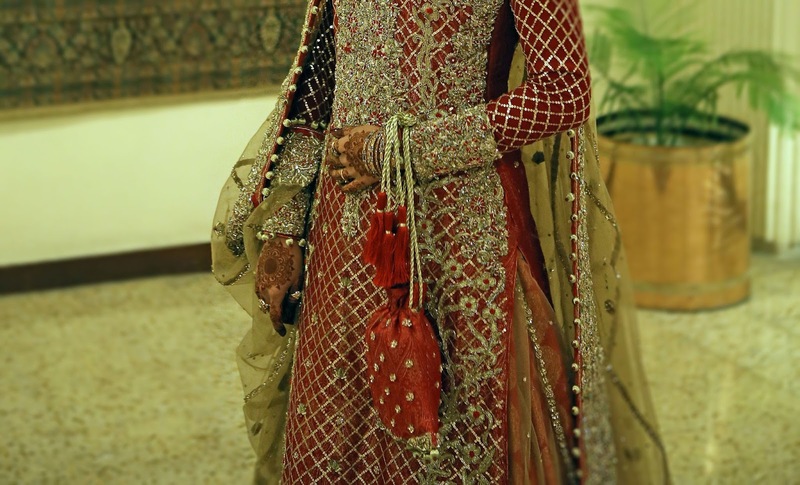 Put on a rukhsati scene from a tv drama and she will cry you a river, you’ll be running around the house for tissues. However, she had resolved that she would shock every one by not crying at her own daughter’s rukhsati. Everyone who knows her replied with: “Haha, yeah right!”. I don’t blame them. I walked down the aisle again, this time with my husband, lost control halfway through the marquee, husband squeezed my hand and tightened his grip and I could hear my name being called out from all around. One of my sister-in-laws told me to look up and I saw our friends lined up along the aisle, holding placards with the most adorable messages. It instantly brought a smile to my face and I didn’t need to use the tissues my mother-in-law had handed to me. Having seen the wedding video, I can safely say that I did not walk but rushed straight to the car. No goodbyes, no hugs, no looking back. It wasn’t something I had planned on doing, it just happened in that moment. Later, I discovered that my dad had actually forbidden my family to go over and meet me in the car either, he thought it would made me cry. His words, “What’s the big deal? You’re going to meet her tomorrow.” Trust him to give those instructions and then get all awkward himself, avoiding eye-contact with everyone. Oh and Ami could obviously not keep her resolve. But she definitely did much better than expected. Her now son-in-law hugging her and cracking some jokes put brakes to those tears and also provided some really filmy footage for the video. My brother was all smiles though, boys! I was welcomed into my brightly lit new home with a lot of love and warmth. My husband does not have a brother but that does not mean I got away with the rasam of bride giving money to brother-in-law(s). The sweetest was when my mother-in-law actually gave me ten-rupee notes to give to the boys and told them not to bother me. Husband and I were supposed to leave for the hotel but we were wrong in thinking that we’ll be only ones going. Our friends had planned and plotted and had even convinced some family members (even my brother) to tag along. Apparently, everybody was really hungry for midnight snacks. Next stop was the hotel’s restaurant where husband’s credit card was mercilessly abused. It was only when the restaurant staff started dropping hints that it was time for them to close that we were forced to leave. Thank God for brother-in-law who successfully managed to keep the boys’ away from following us to the lobby and for husband for having told the hotel reception not to disclose our room number to anyone. This post-event time is one of my most cherished memories. It showed how genuinely involved and happy people were for us and it made us feel extremely fortunate and loved. Recalling the jokes and those never ending attempts to make us newly-weds blush still brings a smile to my face and wouldn’t want to change anything about it. 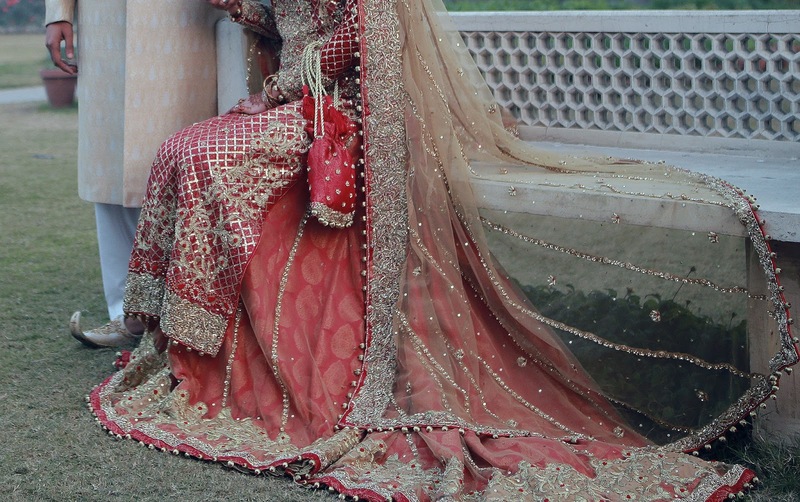 Read Day 9: The Happily Ever After and the Basis Of It All - The Nikkah Nama here. If you haven't read previous posts from the wedding series, now will be a good time time because tomorrow is the last day! Love your writing style, keep it up!! This is was like an action replay of my ruskhsati. 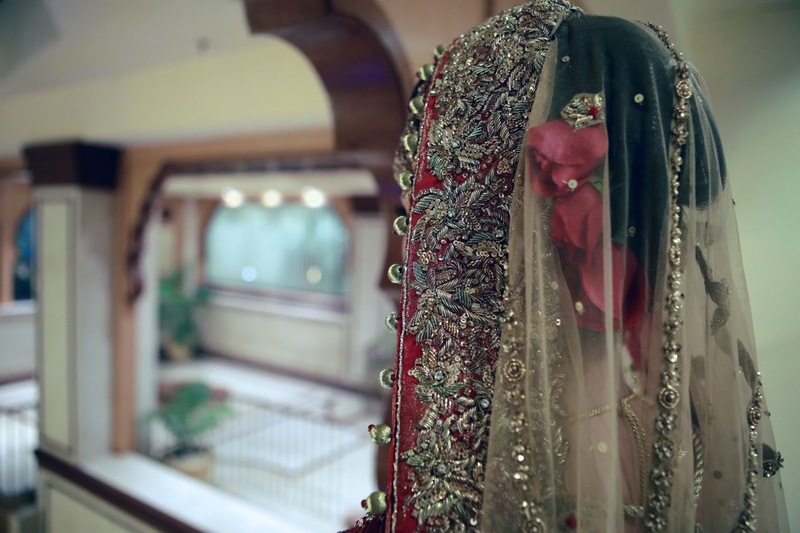 I loveeeee your dress, perfect blend of modern and traditional! -Dads usually put a restrain on their emotions. Well my dad is the same he is the most unexpressive (If that's even a word) person ever. But yes he empowered me so much that I ended up choosing the same field as his (the very much male dominant field). No, it's red with gold net so it looks a little orange.